The calf is the curved portion located between the Achilles tendon and hock. 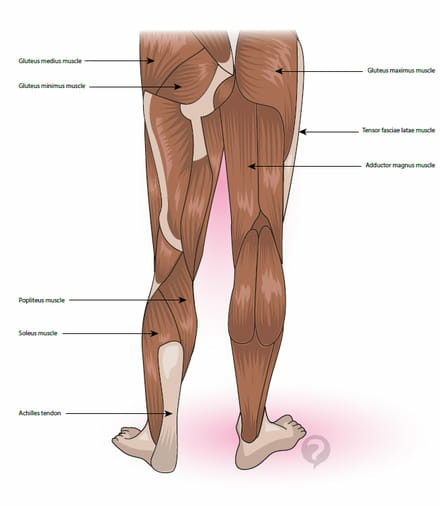 The calf is the muscular triceps surae muscle and the peroneal muscles, the long and short fibular peroneal muscle. These muscles give volume calf. Two arteries flow in the calf, the peroneal artery and the posterior tibial artery. When the calf muscles contract, they activate blood circulation. The main diseases of the calf are the Achilles tendon rupture and varicose veins. This document, titled "Calf - Definition," is available under the Creative Commons license. Any copy, reuse, or modification of the content should be sufficiently credited to CCM Health (health.ccm.net).